Once you’ve said your vows, and the reception meal is done, there’s nothing more essential than making sure everyone is having a good time. That’s why wedding bars are so important. They offer a chance for your guests to top up their drinks, chat with each other and of course, find a glass to raise a toast to the bride and groom. 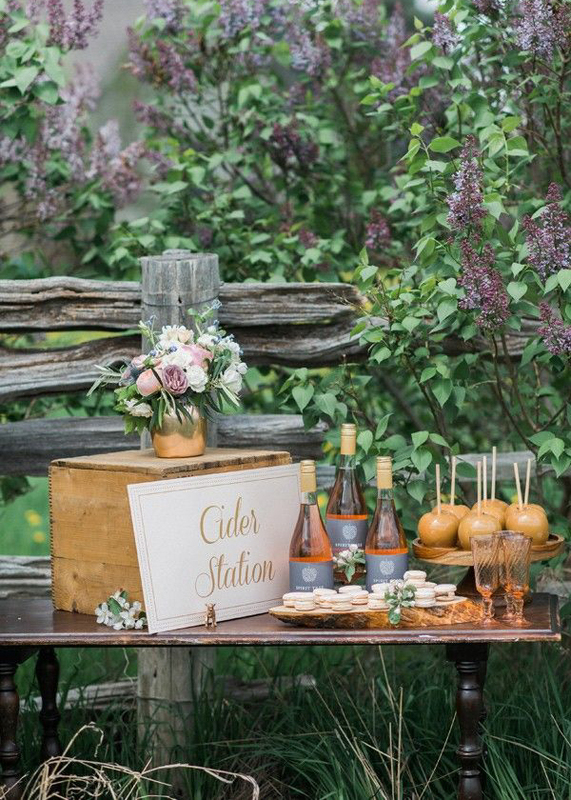 We’ve put together ideas that will please the bride, the groom and your guests – with stylish details, surprise elements and bars with a twist, you’ll want to Pinterest everything on this page! Cocktails are the ultimate way to get people into the party mood. Dare yourself to be extra experimental and create delicious twists on your favourite cocktails. There are loads of ideas out there for His and Hers cocktails – your guests will love this kind of detail (and it’s much simpler than trying to cater for everyone’s tastes!). Otherwise, you can stick to a short list of some well-loved classics to serve up. Everyone loves a beer to get them feeling mellow. 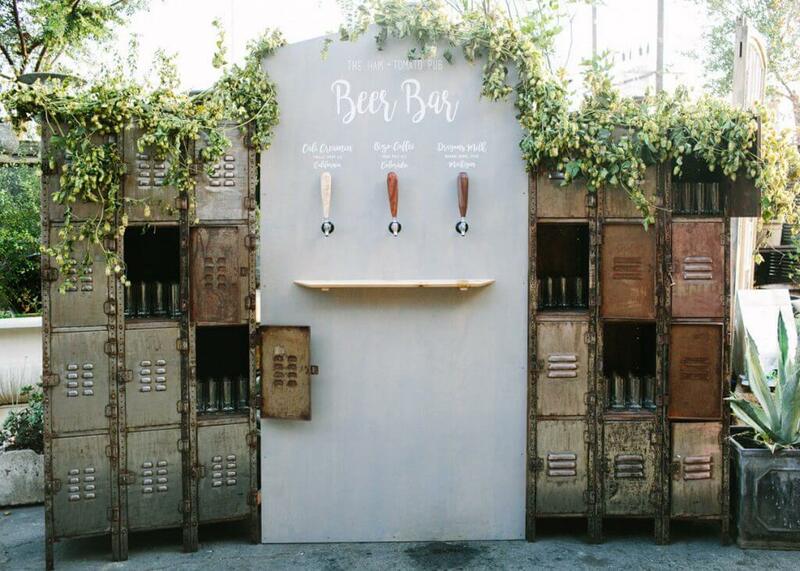 There are some really imaginative ways to integrate a beer bar into your event. Try a self-serve style bar with beer on tap, so guests can serve themselves from different varieties. If you prefer to buy bottles, why not store them in ice in a beer boat in open kegs to add more authentic beery appeal? You can’t go wrong with a rustic wine bar filled with some well-chosen reds, whites and roses. Guests will adore being able to have their glasses topped up. Decorate your wine bar with flowers, fairy lights or make a statement with some lightup letters on the table, spelling out your initials or simply saying ‘WINE’. The guests will definitely get the message this way! Mimosa’s are sure to please all the women at your wedding. 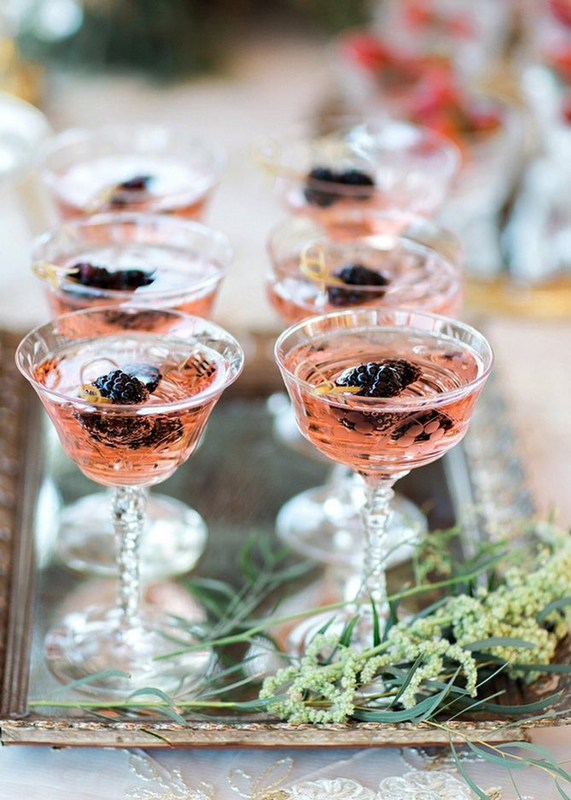 Sparkling and fruity, these classic cocktails are ideal for serving up on the lawn at your wedding reception. Accessorise your bar table with balloons or oversized labels on jugs of juice, or add a dash of colour by having bowls of raspberries and strawberries for guests to pop into their mimosa glass. You know you’re at a great wedding when there’s a champagne bar. Make yours extra special by paying attention to your presentation. 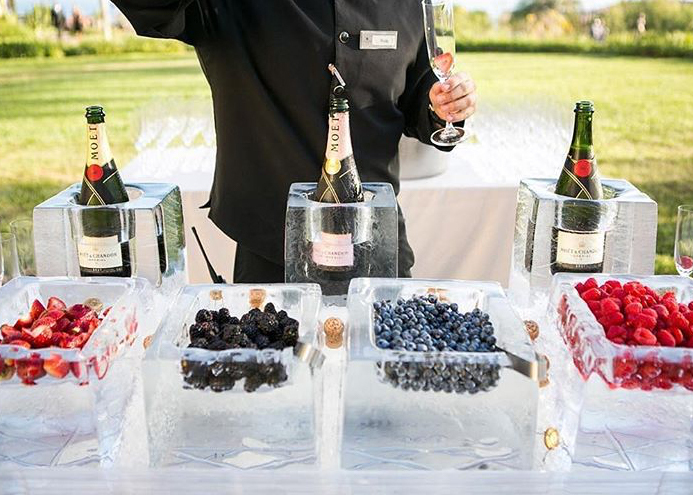 Use pre-cut oversized ice cubes to hold your champagne bottles and fruit instead of bowls and buckets, or in place of traditional champagne glasses, change things up with an assortment of vintage crystal glasses. Alternatively go modern with some alternative shapes to add a sleek edge. Prosecco might as well be Champagne these days – everyone loves it – even the boys. Sparkling, delicious and always ready to add some extra fizz to your evening, a Prosecco bar is fast becoming a must-have for many weddings. 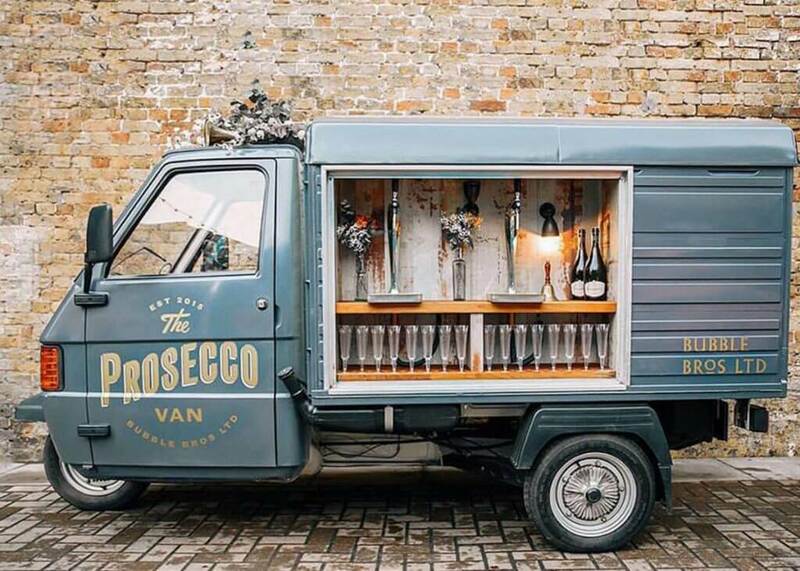 The Prosecco van is one of our favourite ideas. Simply hire a vintage style serving van, decorate with floral garlands and fairy lights, add some swirly signage and pack it with Prosecco, it will be an instant hit, we promise. 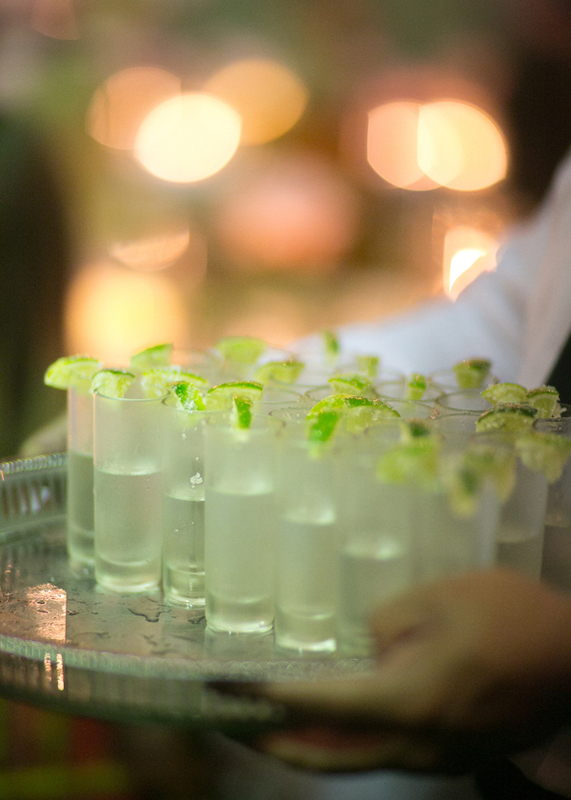 Give everyone a reason to get on the dance floor by offering shots to your guests by creating a bar with shots holding their place names. Get this party started! 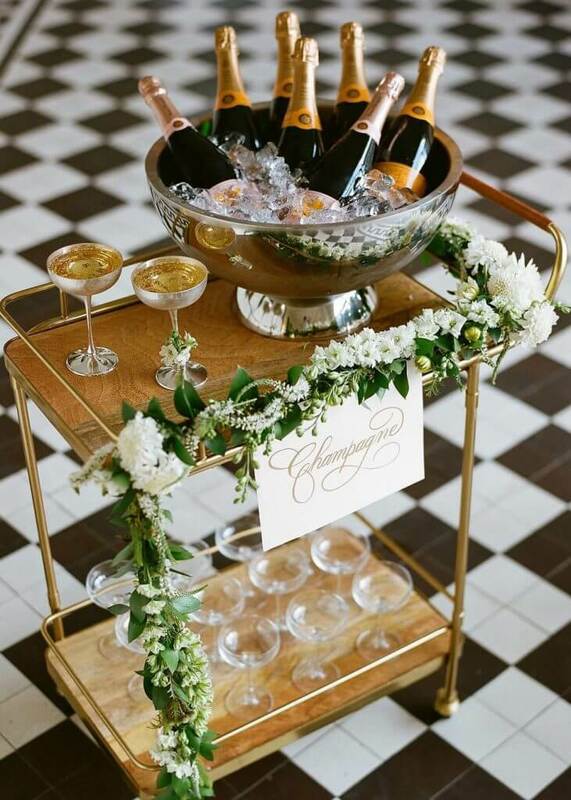 The most gracious way to ensure all your guests are happy is to provide an open bar but this is also the most expensive option. 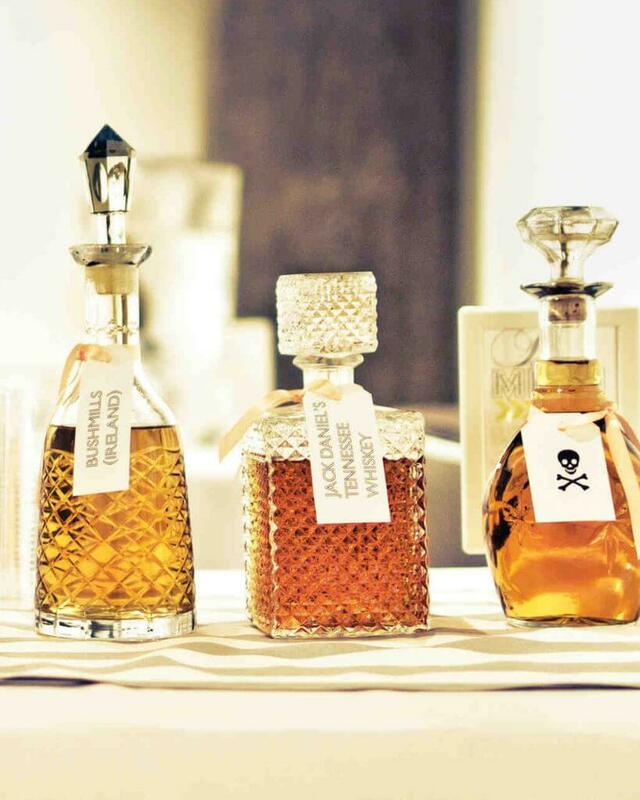 It essentially means guests can drink what ever they like free of charge, all your invitees are sure to be thrilled! Sangria goes hand in hand with good times – so having a punch bar is a fun way to relive those house parties of yesteryear. Get yourself a couple of drinks dispensers with taps so guests can serve themselves with minimal spills. It’s a cliché, but the men will love this one. A Bourbon Bar is sure to get the guys talking, so stock yours with plenty of interesting brands and well-loved classics to keep people excited. Whether you’re having your wedding at home or abroad, there’s sure to be a few artisanal local breweries offering some delicious ales that you can serve up at your wedding. This adds a lovely regional touch and gives everyone a perfect excuse to experiment by having a glass or two. Who doesn’t love a nice cold cider? 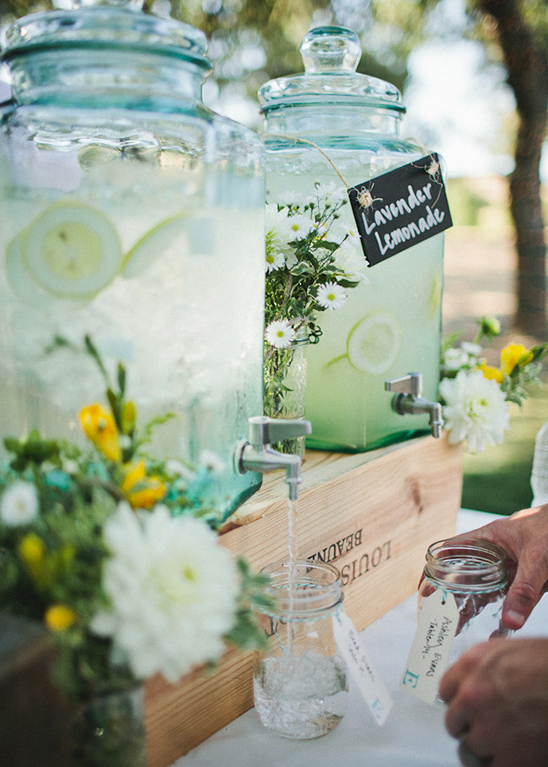 Ideal for adding a festival vibe to your wedding, accessorise your cider bar with bottles on ice or kegs of cider served from the tap. For that Gatsby charm, a decanter bar is sure to add the class and opulence you’re looking for. 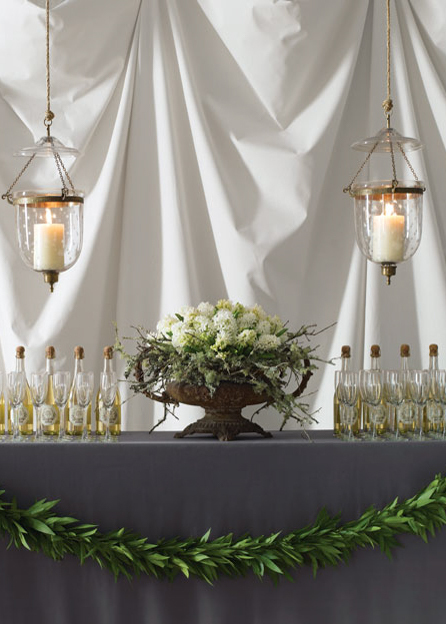 Present a selection of classic liquors, from sherry and whiskey and bourbon to scotch, in cut glass crystal decanters with an ice bucket and decorate your bar table with trailing ivy, vines and long wax candles for a vintage effect that guests will adore. Need a reason to create your own liquor? Now you have one. 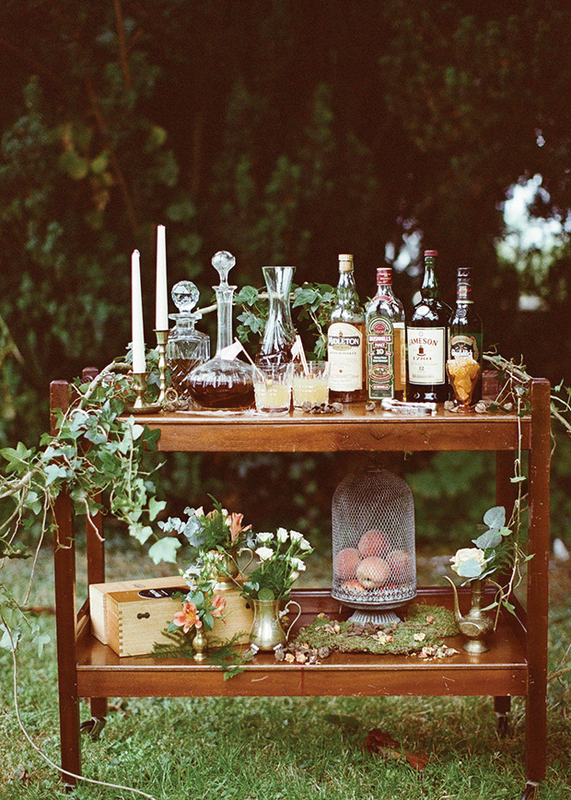 Adding a DIY liquor bar is a great way to add a personal touch to the proceedings and to give guests something unexpected. Whether you make your own sloe gin or hooch, you can present your wares in personalised bottles, shot glasses or mini decanters. Just don’t forget to have some mixers on hand! 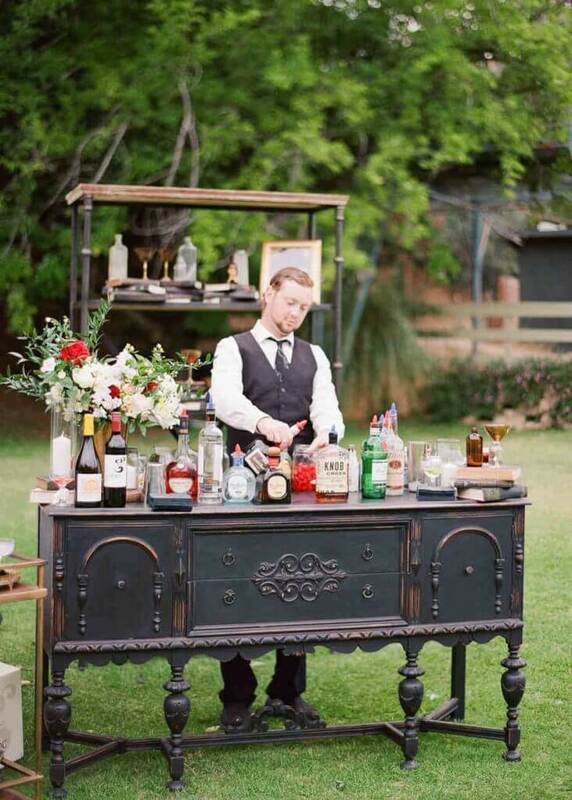 If your wedding is a more teetotal affair there’s loads of fun you can have with a soft bar. Fruit juice, sparkling mixers or mini bottles of water can all go down extremely well – especially on a hot summer’s day. 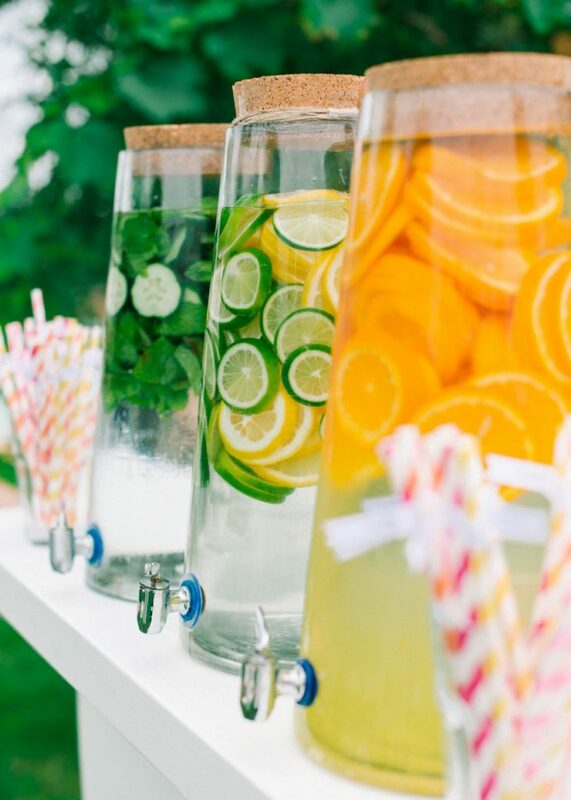 Whether you’re serving up lemonade, sparkling elderflower, PIMMS or even ice-creams, a refreshment bar is certainly going to get everyone excited. Be original by serving refreshments on a vintage style cart or for a classic and elegant feel, choose a crisp tablecloth and silver ice-buckets to store drinks in. 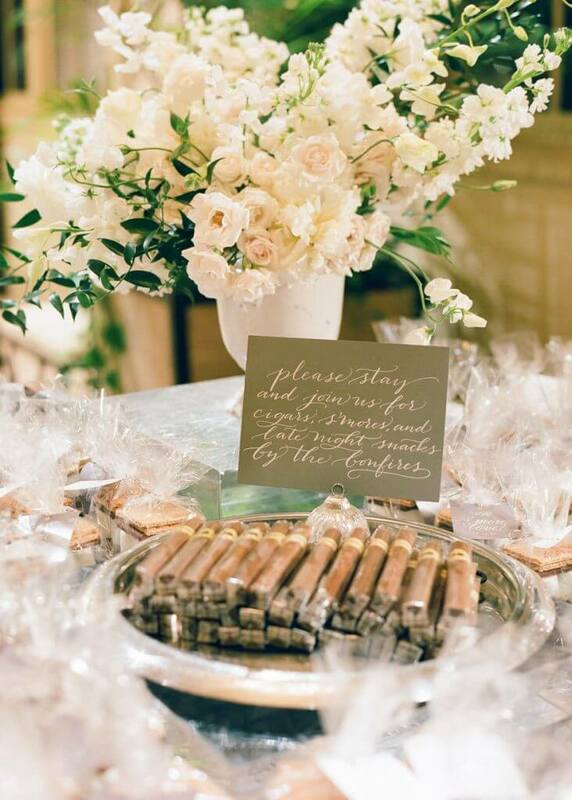 To add some old-school glamour that will get the boys excited, a cigar bar always seems to do the trick. Stock glasses with cigars and present matches in bottles or colour coded boxes to add even more refinement to the experience. Just don’t forget to provide some ash trays too. A true crowdpleaser, a whisky bar is a great idea for serving up whisky cocktails throughout the evening, especially as a little goes a long way. Make a menu of Old Fashioneds, Manhattans or Boulevardiers, and your guests will be spoilt for choice. Sometimes it’s better to call a bar a bar. Having a traditional bar at your wedding means it will be stocked with your classic options of beer, wine, shots and mixers. 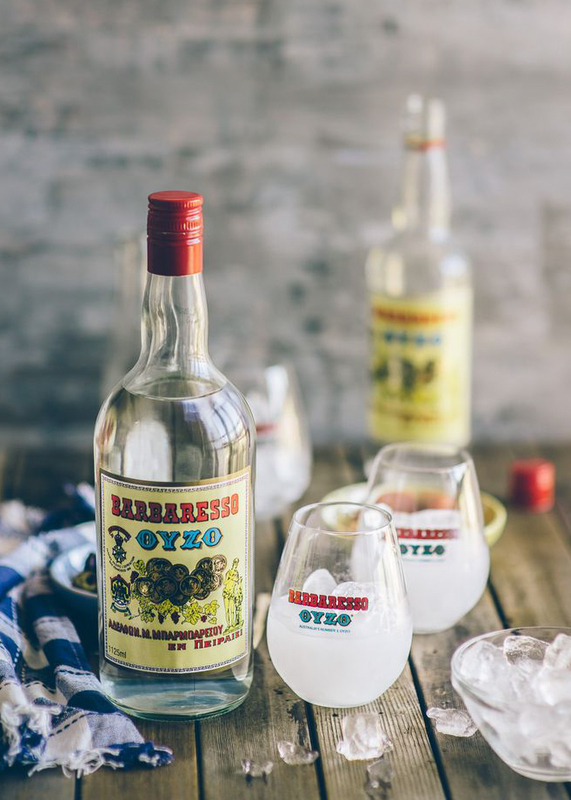 If you’re having a destination wedding make sure you highlight the local alcohol – in Greece, guests love cocktails made from local ouzo or tsipouro. 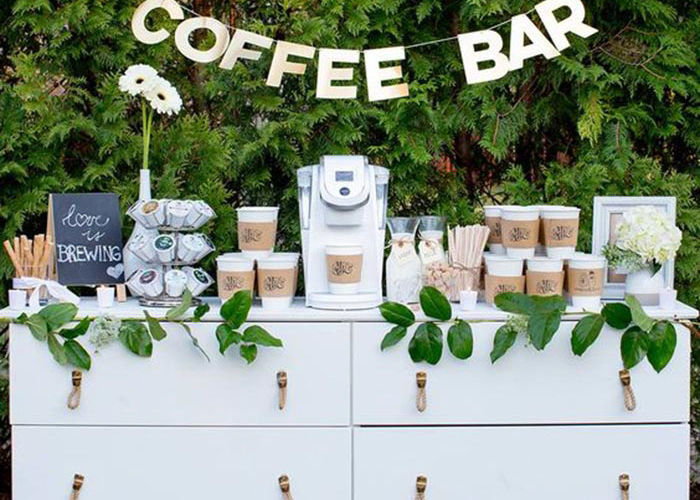 Everyone loves a coffee, especially on a long day celebrating so it makes sense to perk everyone up with a coffee bar. Whether you choose to hire a vintage style coffee van or simply have a table with self service coffee in vats with taps, make it look special by using colour co-ordinated cups and having some eye-catching bunting to alert everyone where to get their caffeine fix. 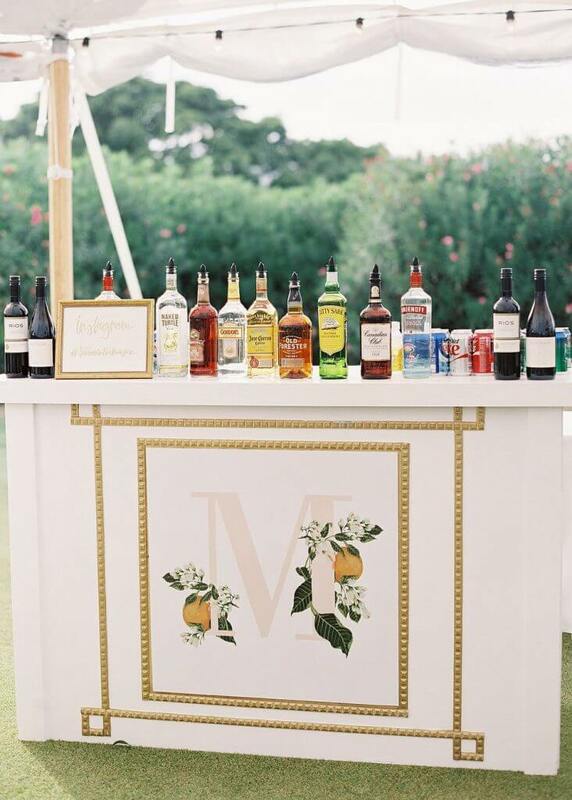 Want to be original with your wedding bar? Instead of your traditional trestle table and tablecloth combo, experiment with something that will surprise your guests. 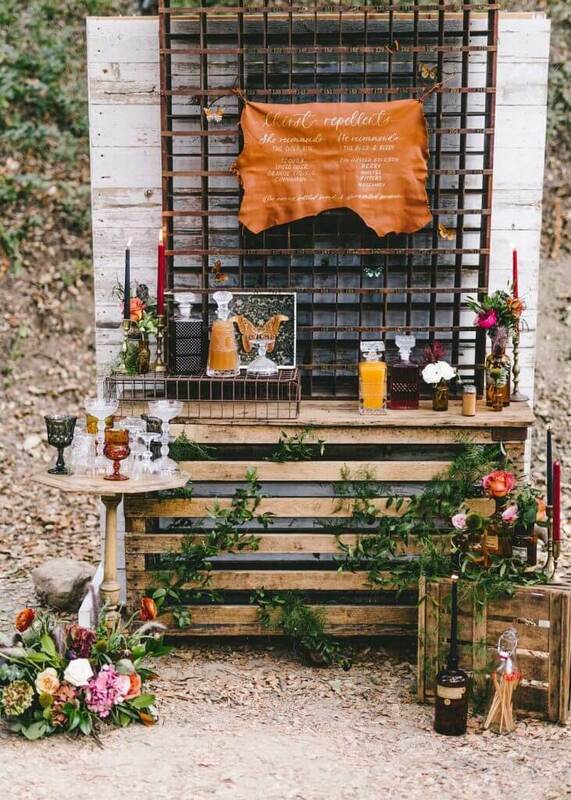 Wedding bars, no matter what they are (refreshments, mimosa or beer bars) can be presented with charm. Choose from vintage style bar carts, reclaimed hot dog vans, ice-cream carts or even tin baths to store ice and bottles in. Thinking outside the box can really come into its’ own here. For something truly special try suspending tables from tree branches with rope. Or to present tables with style, carefully choose your glassware and decanters to echo the theme of your overall wedding, whether it’s rustic, classic, glamorous or bohemian, there’s sure to be some glassware that’s right for you. Whether you choose to dress your bar with flowers, garlands, bunting, strings of lights or even candles, aim to create a romantic, fun mood that all your guests will appreciate. 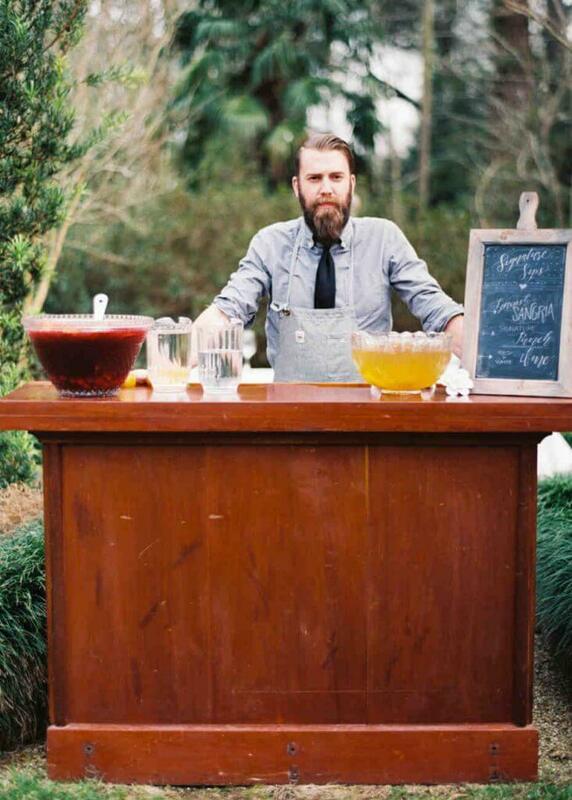 You get out of a bar what you put in – so the more creative and fun your bar, the more excited your guests will be. 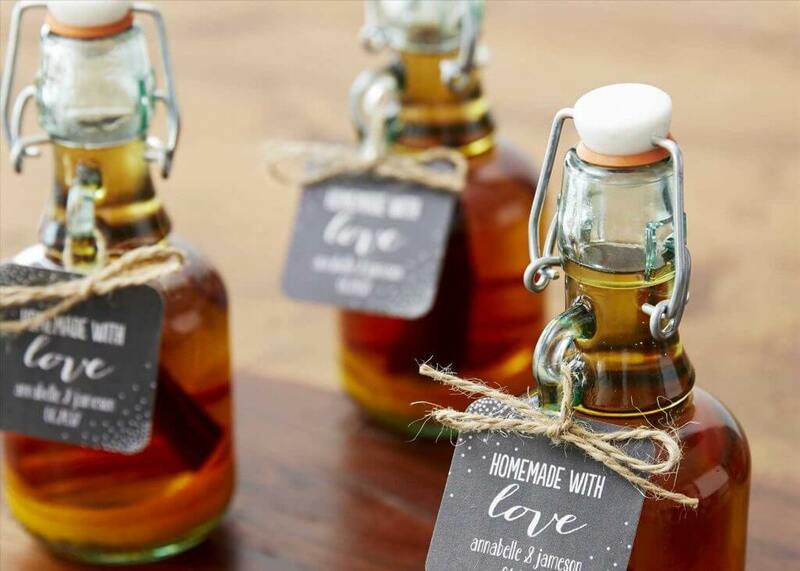 Add personal touches to your bar that will show the attention to detail you’ve put into the wedding to make sure everyone has a wonderful time. Try personalising your drinks with calligraphy decorated napkins, drink stirrers or blackboard signage that has a play on words. 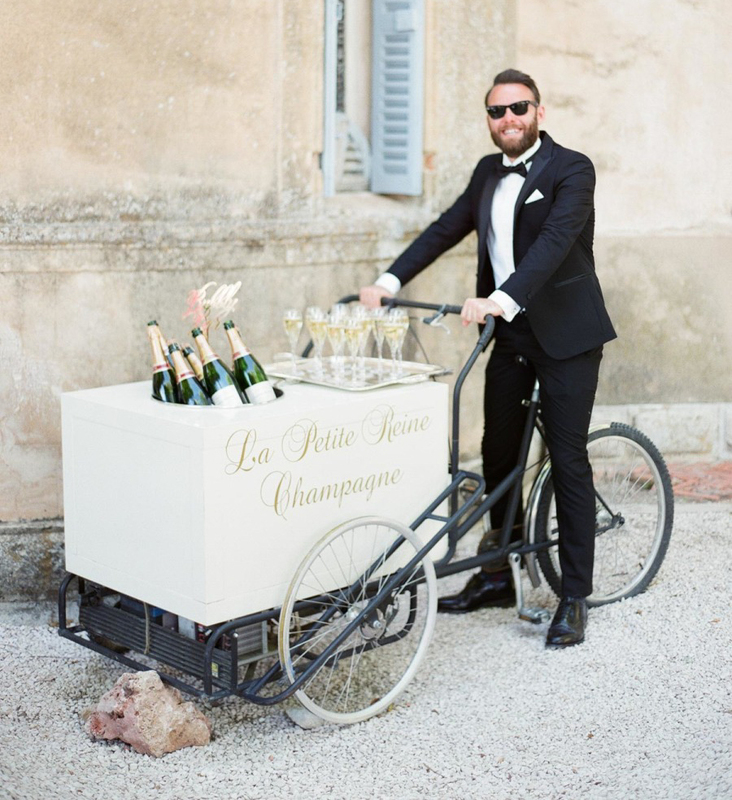 Got a Prosecco Bar? A sign saying “Pimp Your Prosecco” is playful, while a sign with “Ale-ways Right’ is a fun way to draw attention to it. Other signage ideas include neon lighting signs, light up individual letters or traditional chalkboard menus or even bunting announcing what guests can expect from the bar, e.g. Lemonade, Coffee or Wine. If you intend to stock the bar yourself firstly make sure there isn’t a corkage fee at your venue, if there is you’ll need to account for this in your budget. Calculate how many guests you have and the likely amount they’re going to drink. Most people have one glass per hour, or around five drinks over the course of an evening, but this is approximate – you’ll always get some guests who drink more and some that drink less. You’re going to want to make sure you have all the essentials covered – beer, mixers, fruit juices, wines, spirits, beers, ciders and water. We’ve put together a shopping list for a wedding with 100 guests.